Are you curious about Catholicism or interested in becoming Catholic? Do you need to complete the Sacraments of Initiation (Baptism, Eucharist, Confirmation?) Do you need to be baptized? Do you have a child who has passed his/her seventh birthday without being baptized? Do you have a child who has passed confirmation age without being confirmed? If any of these situations apply to you, let us know! 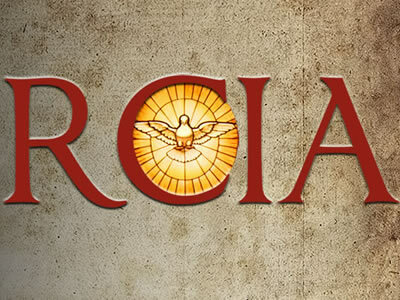 Each year our Rite of Christian Initiation for Adults (RCIA) and our RCIA for Young People programs welcome people from a variety of faith backgrounds as well as Catholics who need to complete their sacraments. To learn more, email us at rcia@stpatricksmithtown.org or call the rectory at 631-265-2271.